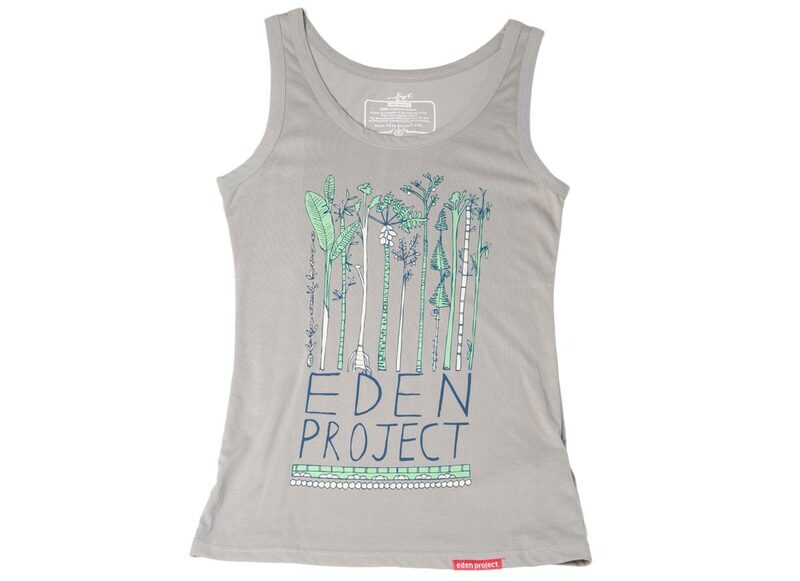 A lovely soft feel cotton vest, featuring a cute bamboo design which is inspired by the plants we grow here at the Eden Project. With a regular fit, flattering round neckline, and easy-to-wear wide straps, this is a super versatile vest top. It is perfect for when the sun is out but also great for layering up when the weather isn’t quite what you might hope for. The organic cotton is picked by hand and spun in low-impact manufacturing facilities powered by wind turbines. The vests are shipped in biodegradable PVC-free packaging and recycled cardboard boxes. They are then printed locally using environmentally friendly inks.